The weekend before New Years was cold. Not nearly as cold as the polar vortex we’re experiencing right now, but cold enough to make a day on the Coastal Bays a brisk endeavor. 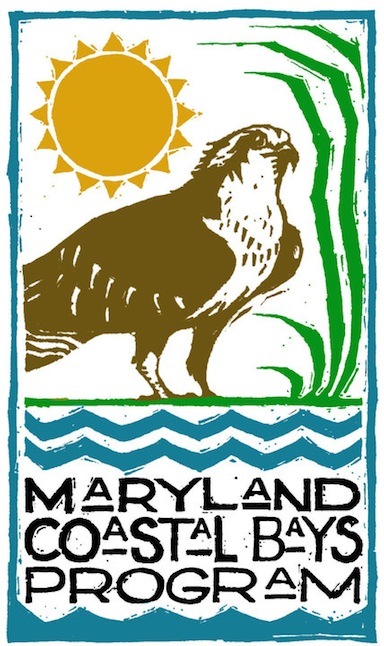 However, the Maryland Coastal Bays Program has committed to cleaning lost and abandoned crap traps (called ghost traps) from the bays this year. This is work that must be done over the winter, once crabbing has ended for the year and before local watermen begin laying out new pots in the Spring. Captain Ralph Tarr and Linda Allen head out onto Chincoteague Bay. Despite the air temperature, I had what I thought was the lucky opportunity to join local fishing captain Ralph Tarr and Maryland Coastal Bay Program volunteer Linda Allen for a day on water, clearing old pots from Chincoteague Bay. Ghost pots are a form of ocean trash – called marine debris – that pollute our waterways, cause hazards to navigation, and create death traps for local wildlife. Just because a trap is no longer checked for fresh catch does not mean it does not keep catching (and killing) wild animals. Recovered ghost pots regularly reveal an incidental “catch” of crabs, small fish and shrimp, along with various molluscs such as the whelk. Less commonly, they snare waterfowl and the locally threatened diamondback terrapin. The advantage of spending a crisp day on Chincoteague Bay in late December is that both the air and water can be stunningly clean and clear. This was the case on December 28th. Leaving out of a commercial dock near Public Landing in Snow Hill, my two companions and I were immediately taken aback by the abundance and diversity of wildlife around us. Ducks and geese were the most obvious, darting about in every direction we looked. Amongst the variety of waterfowl species that winter on the Coastal Bays, buffleheads dominated the scene here. But this was to a backdrop of screeching gulls in the marsh, solitary herons stalking prey on the shoreline and flighty kingfishers swooping by overhead. Chincoteague Bay is the largest and most southerly of the five coastal bays. Down near the border with Virginia, the bay is very wide, making it difficult to see from the mainland out to Assateague Island. The coastline is still wild in this region, and lends itself to a maze of channels, coastal creeks, marshes and small islands. Once out in main channel between Snow Hill and Assateague, flocks of thousands of individual snow geese came into view. They were like fluttering islands of transient snow – a winter wonderland with wings. Several of the islands in southern Chincoteague Bay actually harbor homes and hunting camps, and we took a brief look at these. At one point, we spotted a bald eagle strutting along a shell-cluttered shoreline that was built up over time by the seafood catch of native American fishing communities. This small commerical dock near Public Landing is used by commercial watermen. This is the most you usually see of an old crab trap – just a low-floating buoy, usually covered in algae. Other traps have no buoy at all and are more difficult to find. Captain Ralph Tarr pulling in the line of a ghost crap trap. Captain Ralph Tarr recovers a ghost crab trap from the bay floor. The old traps are brought into the boat for disposal and recycling on land. Blue crabs and black sea bass are commonly found in the ghost traps. These blue crabs were still alive and were returned into the bay. Whelks are also commonly found in the ghost crab traps. Captain Ralph Tarr and Linda Allen discuss the day’s progress. Arlo Hemphill of MCBP took data on all the ghost crab traps and was very cold. The recovered ghost crab traps of the day begin to pile up. One ghost trap had been stranded on the marsh and was completely out of the water when recovered by Captain Ralph Tarrr. This whelk had died in the ghost trap. Most crab traps are not left out at sea to become marine debris, but rather are responsibliy recovered for reuse come next crabbing season. Awesome job and great article. Keep up the good work Arlo!